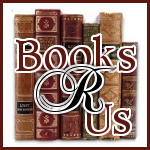 I want to welcome Dan Maurer to Books R Us! Dan is the author of the novella Snow Day and is touring the blogosphere on his first virtual book tour with Pump Up Your Book! This tour is part of a huge Kindle Fire HD Giveaway. Thanks for stopping by. news, Snow Day is a blend of nostalgia and nightmare that makes us question if the good old days were really as good as we remember.